The unfortunate fate of Fujian Jinhua Integrated Circuit, one of China’s three major major microchip firms, serves as a window for determining the success of China’s strategy of trying to play technological catch-up. It also provides a good through through the fog of war on the “battlefield” of intellectual property disputes between China and the United States. In the competition between high-tech countries, China’s blatant strategy of theft has hit a nerve with the Trump administration’s policies. China’s infringement of U.S. intellectual property (IP) rights is one of the main disputes underlying the Sino-U.S. trade war. And disputes over microchip technology are some of the most common in the IP battle. China has been researching and developing microchips for over half a century. At present, however, the “sore spot” of the microchip still exists, and the root of this sore spot is precisely the state-run system that China is so proud of in its high tech research and development. This type of system concentrates and directs all of the nation’s forces in technological research, by which the government takes the lead in coordinating organizations, assigning tasks, providing funds, and pursuing breakthroughs. Leaving aside production costs, gains made are first applied to the military, because the military only wants products that are usable, and the government pays all the bills anyway. Meanwhile in the civilian sector, high-cost technology developed through domestic researches is not as cost-effective or reliable compared with purchasing foreign technology. Chinese chip research and development began at the Yongchuan Semiconductor Research Institute (now the No. 24 Laboratory of the China Electronics Technology Group). Following the warming of Sino-U.S. relations in the early 1970s, technology was imported from Europe and the United States, and elite scientists and military research groups were tasked with providing the necessary microchips for military projects such as the indigenous development of nuclear weapons and artificial satellites. However, the national R&D system were slow to implement technological upgrade and had difficulty coping with complex market changes. Even less were they able to meet the huge demand of the civilian market. In short, the militarized R&D system was seriously lacking in industrial ethic and the capacity for upgrade and innovation. As a result, Chinese microchips in this period were about 15 years behind international standards in terms of research and technology, and more than 20 years behind in terms of industrial production. In 1990, the State Planning Commission and the Ministry of Electrical and Mechanical Services decided to implement its “Microchip Project 908” for the civilian market. Using the Wuxi Tongzhi Microelectronics Co. Ltd., (i.e. the Huajing Electronics Group)—which came about as a merger of the Jiangnan Radio Equipment Factory and the 24th Laboratory of the Electronics Department—as its base, meticulous designs by researchers and entrepreneurs, repetitive verification of proposals, and 2 billion yuan in government investment were committed in hopes of being able to, in one fell swoop, narrow the gap between Chinese microchips and those produced internationally. The project failed, given its state-run constraints. With the establishment to production phase lasting seven years (two years for funding approval, three years for the introduction of the production line from Lucent, and two years for factory construction), the technology was already four or five generations behind the international mainstream when it was began production in 1997. In that year, it suffered financial losses of 240 million yuan, and has gone down as a classic case of making preparations to fight the previous war. At present, China’s commercial chips still rely on copious imports, and the high patent royalties associated with foreign supply is a big pain for the Chinese government and its enterprises. After the failure of Microchip Project 908 in order to succeed at commercial chip localization, China made a second state-run attempt: “Microchip Project 909.” Project 909 could not escape the old problem — “failure to find a breakthrough point in the microchip industry.” Some use the following metaphor to describe the situation: calculating the right time, angle, and speed to jump into a high speed train car is an extremely difficult task. China’s state-run state commercial chip manufacturing often falls back on duplicating chip research and development that is used for the military sector. The pace of research and development also cannot keep up with mature international technologies, the degree of industrialization is low, and it is difficult to prepare products for mass production, so development costs are huge and lead to high prices per unit. Naturally, this kind of chips are commercially unpopular. Has this road been a smooth one? The recent failure of Fujian Jinhua Integrated Circuit Co., one of China’s three new chip bases, has left behind a “wreath of mourning” after what happened when it took this route. In the field of commercial chips, there is a very important product called dynamic random access memory (DRAM). China does not have this technology, so the Chinese government has listed DRAM R&D and production as key priorities for economic development. To this end, Beijing’s 2016-2020 economic development plan identified three major memory projects, namely Fujian Jinhua Integrated Circuit, Hefei Changxin (Innotron Memory), and Yangtze Memory Technologies Co., Ltd. under majority shareholder Tsinghua Unigroup. 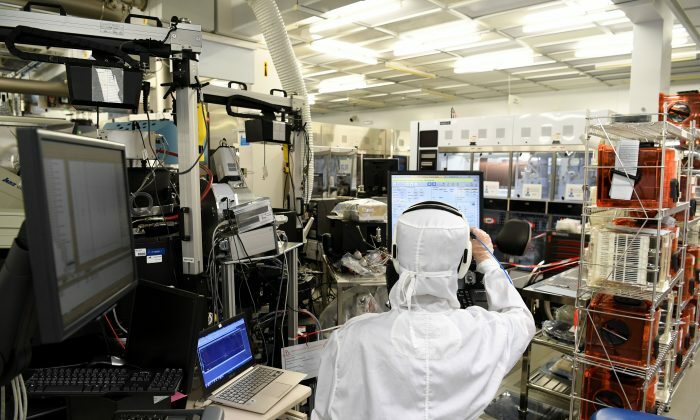 This has led to a series of episodes involving Chinese chip enterprises centered on Micron Technology, a major U.S. chip manufacturing company. Tsinghua Unigroup was first under the support of the government chip fund. In 2015, it tried to acquire Micron for $23 billion, but the merger was unsuccessful. In 2016, Tsinghua Unigroup took in five senior engineers and managers from Inotera, Taiwan, a DRAM foundry company that has business relations with Micron. These five people then passed on corporate secrets to Tsinghua Unigroup. The case was investigated by the Taiwan Taoyuan District Inspection Office in September 2017, and the five were prosecuted for commercial espionage. Recently, Tsinghua Unigroup has also been preparing to acquire French chipmaker Linxens from Luxembourg private equity firm CVC Capital Partners for $2.6 billion. The acquisition is still awaiting approval from French regulators. Compared to the Tsinghua Unigroup’s dealings, the experience of Fujian Jinhua Integrated Circuit Co. caused greater sensation in the media of various countries, with the conclusion being that the Jinhua Company had essentially been strangled at birth. The sensation surrounding Fujian Jinhua is also related to the technology of Micron. The Epoch Times has reported many stories about Fujian Jinhua, which will only be briefly outlined here. Fujian Jinhua itself was established from scratch. However, with the technical support of Taiwan Lianhua Electronics Co., Ltd., as well as the the Chinese government, it was provided 600 mu (about 100 acres) in land, and had a total investment of 37 billion yuan for its first phase project alone. It prepared to start production in September this year so as to become a major manufacturer of random access memory (DRAM). It is said that after the plant was put into production, China’s random access memory production technology was just five years behind that of developed countries. However, just as Fujian Jinhua prepared to celebrate an auspicious launch as China’s first mass-producer of DRAM memory, the company suddenly stopped operating. Its official website is now completely blank, as if the tens of billions the government invested into the project had evaporated. The direct reason for the death of Jinhua was that earlier this month, the U.S. Department of Justice announced lawsuits against Fujian Jinhua, its partner company Taiwan Lianhua Electronics, and three Lianhua employees, alleging that the two companies had infringed upon Micron’s intellectual property rights and trade secrets. The cost was estimated to be worth $8.75 billion, and all defendants were accused of conspiring to commit economic espionage. If convicted, the defendant enterprises would face fines of up to $20 billion. 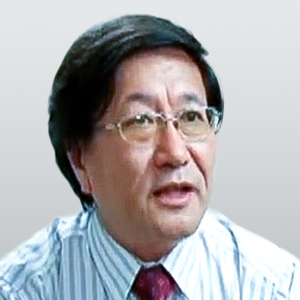 Among the three Taiwanese sued by the Justice Department, one was the CEO of Fujian Jinhua. He had resigned in 2015 as president of a branch company of Micron to work at Lianhua Electronics and served as a intermediary between Lianhua and Jinhua. Another person was a former technical staff member at Micron who also resigned to work at Lianhua. Before leaving Micron, he downloaded a large number of Micron’s tech data. According to a recent report by Taiwan’s “CommonWealth” magazine, at the end of 2017, the Taichung District Prosecutor’s Office found evidence of his theft during an inspection of the company. In exchange for a reduced sentence, the person later become a “prosecution witness”, whereby Lianhua Electronics became the defendant. This case is currently undergoing court trial. Superficially speaking, the three major Chinese memory technology projects that started in 2016 look the same as the earlier “Microchip Project 908”” and ” “Microchip Project 909,” which were both efforts to develop the chip industry. However, the goals and methods of the new memory project are completely different, and it is precisely this difference that has induced a microchip battle between China and the United States. Simply put, the old microchip engineering process imitated old technology used by Western companies, while the new chip project attempts to plunder the future prospects of these companies. The goal of the “908 Chip Project” and the “909 Chip Project” was basically to implement the localization of chip production, or a form of import substitution. Its method was to purchase second-rate technology and equipment from abroad to provide products for the domestic market, but this did bring about competitiveness for export. The new memory project, by contrast, aims not only to use products for the domestic market, but also to squeeze out the shares of American companies in the global market. To achieve such a goal, the project cannot rely only on importing foreign second-rate technology, but must also take aim at high-end technology. Thus the only available method is “buy if you can, steal if you must.” As for the United States, what China seeks in its chip war is not only U.S. technology, but to further encroach on the intellectual property rights and benefits of these high-end technologies. This is one of the greatest triggers from the Sino-U.S. trade war, and the arena of microchips is one of its most important battles. On Nov. 20, the Office of the U.S. Trade Representative released its latest Section 301 investigation report on China, an updated version of the 301 investigation report from this March. The new November report underlines the focal positions of the United States in the Sino-U.S. trade war. After the release of the March report, although China and the United States conducted several high-level dialogues, the Chinese side did not make any adjustments or commitments in response to U.S. concerns, among which technology transfer and intellectual property protection issues were key points of emphasis. China’s state-run overseas propaganda described the report as listing China’s “four major crimes,” of which number one on the list was that China continues to infiltrate the business networks of U.S. companies and steal trade secrets, intellectual property, and technological data on a large scale. The fourth point refers to the Chinese government’s unfair means of stimulating Chinese companies and capital to buy U.S. companies, thereby obtaining advanced technology and intellectual property. The concerns brought up in points have been fully demonstrated in the Sino-U.S. chip war. In the information age, the modern economy is characterized by the growing importance of intellectual property. Currently, 40 percent of the U.S. gross domestic product (GDP) is related to intellectual property. It can be said that the crux of economic competition among major countries in the twenty-first century is competition in the field of knowledge. Competition in the information economy requires huge amount of venture capital. The returns from intellectual property not only cover the benefits of successful R&D investment, but also the costs associated with failed investments. In all R&D investments, the proportion of failures usually exceeds 70 percent. Without frequent failures, there is no possibility for success. If failed R&D investments cannot be compensated for by the commercialization of successful projects, future ventures will be stifled. Chinese government and companies often complain that charges for the use of Western intellectual property charges exceed the direct R&D costs that went into the technology. This perception stems from limitations in the Chinese vision. So far, China does not have much high-end R&D supported by market-based venture capital. Such R&D is often regarded by the government as a matter of national interest, to be financed by state-owned banks. Thus, companies that fail in the R&D process will not go bankrupt. An advantage of state-sponsored high-tech research and development is that the money is “lazier:” research personnel do not have to gamble with their own professional future and do not experience many sleepless nights spent on research. The disadvantages of state-paying are also self-evident. First, bureaucratic management is inefficient, and administrative bureaucrats will not bet their careers for high-tech research and development that has a high probability of failure. They are naturally cautious and do things in an unhurried manner. Second, administrative and scientific bureaucrats in decision-making roles do not have the vision that front-line R&D personnel possess, and are unable to see clearly the direction of technological development. From this, we can answer the issues raised in the first section of this article. Why can’t the Chinese state-run system bring about the localization of commercial chips? Undoubtedly, if using this system could solve the problem of how to comprehensively catch-up with the technology of developed countries in the commercial field, the Soviet Union would not have collapsed, and China would not have needed to carry out its reform and opening up. The war of microchips between China and the United States shows that the U.S. government knows very well that China is not only after the gains to be made by emulating the intellectual property American companies, but also hopes to spend minimal sums in “taking away” technology and using it to crush U.S. companies and damage the foundations of the American information economy. This is the fundamental reason why the U.S. government monitors the issue of intellectual property infringement in the Sino-U.S. trade war so closely. Meanwhile, the Chinese government is insistent on remaining silent on the issue, giving only general statements and never negotiating on specific cases. This may be because there are so many such activities that are happening presently as you read this. In this regards, the Chinese government and enterprises are still holding on to their last hope. Perhaps, when there are more cases like the Fujian Jinhua episode, and mergers and acquisitions or straight-up theft become more difficult, only then will China enter substantial negotiations on intellectual property issues.